How to Cover Ancient Sites: Build Dams! I’m back from my trip to Turkey! 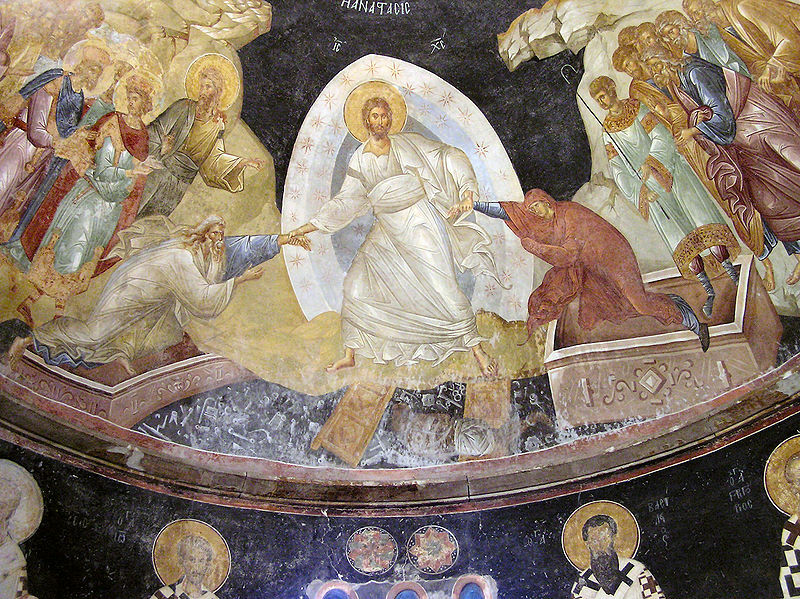 It was so neat to see Hagia Sophia, the Süleymaniye Mosque, the Anastasis painting in the Chora Church, Ephesus, Pergamon, the rock-cut churches of Cappadocia, and much more. I’m sure I’ll share photos and thoughts on the trip intermittently on this blog. I took hundreds of photos and learned a lot. But, like always, I left my trip feeling like I had a lot left to learn. I’m excited to follow up on the questions that were generated during my trip. 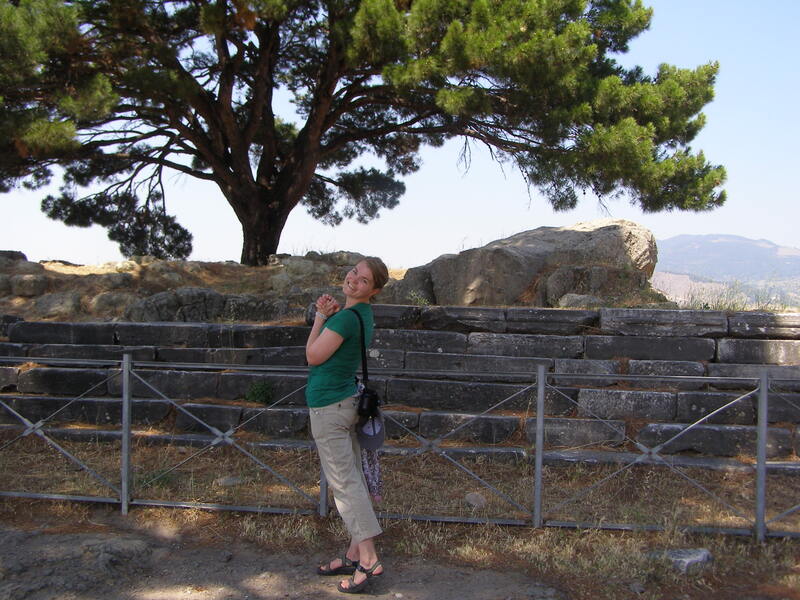 A highlight of the trip: seeing the original location for the Altar of Zeus at the acropolis of Pergamon (modern-day Bergama). Be still my heart! Now I just have to go to Berlin to see the actual altar! From what I can tell, the construction of the Kestel Dam didn’t cause much resistance in the art world or Turkish community. Perhaps the finds weren’t considered significant enough to generate interest. 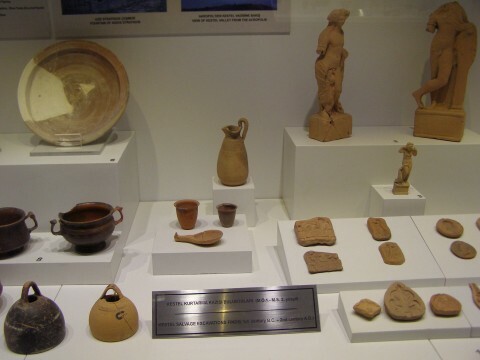 (Of course, these excavations took place before the Internet came about, which may also account for the lack of information/coverage on the topic.) 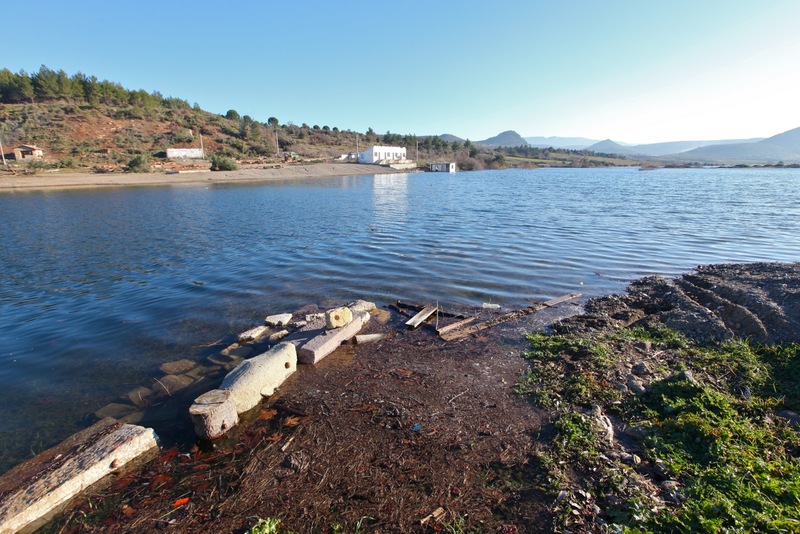 It is interesting to see, however, that the construction of another dam in Bergama (Turkey), the Yortanli Dam, has caused quite a stir over the past few years. I’m quite surprised that I didn’t hear about the Yortanli Dam or the ancient site of Allianoi before going to Turkey. Since coming home, I’ve noticed that the topic has seen a lot of press coverage since dam construction began in 1998. NPR covered the story in 2005, World Archaeology published a piece in 2005, CNN wrote an article in 2010, National Geographic posted pictures of the site in 2010, and the Times wrote an article in 2011 (an op-ed for the article is available online). Allianoi is a Roman bath complex located in Bergama, which is considered to be a major historical significance. Several have claimed that Allianoi is the world’s oldest thermal spa. The site was discovered when preliminary excavations took place in 1998, in preparation for construction of the multi-million-dollar dam project. Columned courtyards, well-preserved floor mosaics, and sculpture were found at the site. The finds were astounding, especially since most reports still claim that only 20% of the site was excavated. Various debates and spurious arguments took place in regards to the preservation of Allianoi from the impending dam construction, including a controversial proposal in 2007 which suggested that covering structures on the site with clay would conserve the ruins. 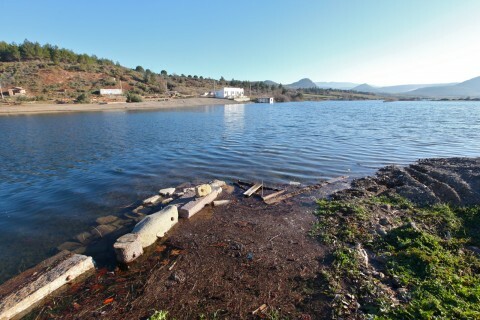 The construction of the dam moved forward and in 2010 it was reported that ten thousand meters of the site were covered with sand. Unfortunately, activists lament that water will still be able to damage the site, regardless of the sand. The battle to preserve Allianoi was lost; today the site has been covered with about 15 meters of water. I think that this is such an unfortunate loss. There is much doubt that the site will ever be excavated, even after the dam’s lifespan is spent. I wish something could have been done to appease those who were interested in preserving the site, and also appease the farmers who were in need of irrigation water. Allianoi Nymph, 2nd century CE. 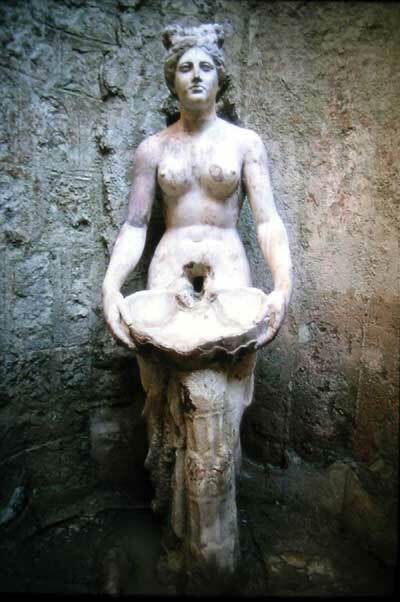 In recent years, this sculpture became the "poster child" for the campaign to save the Allianoi complex. When riding the acropolis gondola and discussing the Kestel Dam in Bergama with my friends, I expressed my dismay that the Turkish government would let a dam cover any historical site. My friend replied, “Well, which is more important: providing water for hundreds of people or saving ancient ruins?” I hastily replied (though with a trace of self-awareness), “We have to save history above anything else!” But as I’ve sat and thought about my friend’s question more, I’ve realized how complex situations can be. At what point do we stop preserving history and try to care for present needs? 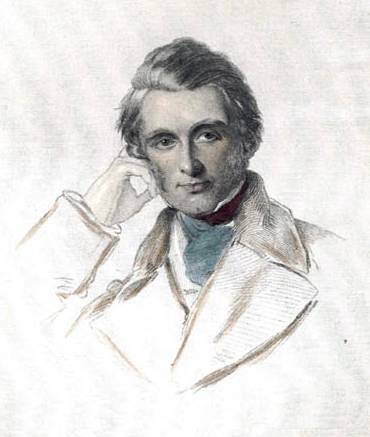 (Can the needs of both the past and the present be met at all times?) History needs us just as much as we need history. If we aren’t around, there won’t be anyone around to appreciate and learn from the past. On the other hand, if we don’t preserve history, it will never exist for us. 1 Museum text panel, Bergama Museum (24 June 2012). The panel discusses that the workshops were mentioned by “Pliny, the Roman author.” I assume that this refers to Pliny the Elder (instead of Pliny the Younger). Last weekend I had the opportunity to visit an amazing exhibit on King Tutankhamun (see some images from the show here). 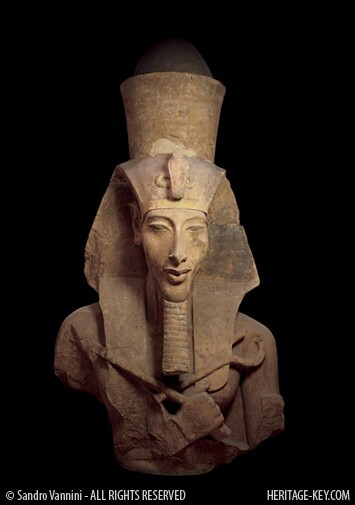 I’ve always been interested in King Tut (I’ve blogged about him before), and I’ve been anticipating the opening of this exhibition for a long time. Upon entering the exhibit space, I was really pleased to see that the show wasn’t limited to objects found in King Tut’s tomb, but included sculptures and artifacts from the Old Kingdom and New Kingdom. In fact, one of the colossal statues of Ankhenaten also was there, which was neat to see. One of the things that I found particularly interesting was a short video clip by National Geographic. 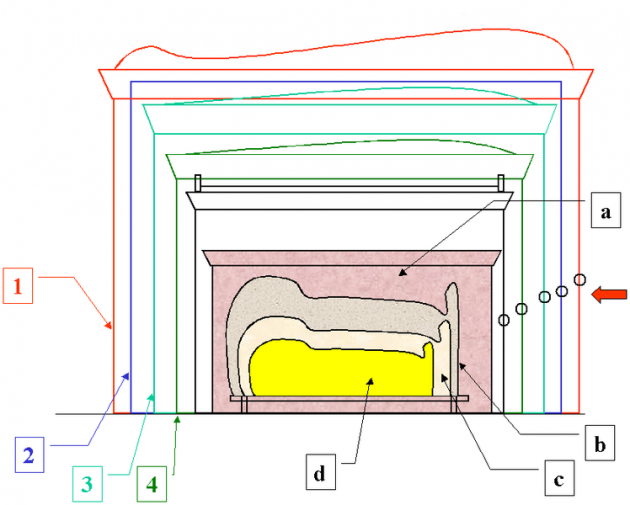 The clip recreated how all the different nesting shrines, sarcophagus, and coffins covered King Tut’s body. Cross-section diagram of shrines, sarcophagus, and nesting coffins for King Tutankhamun’s mummy. 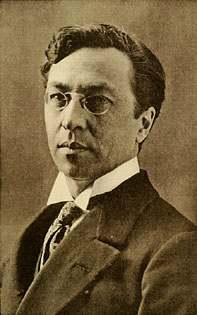 Courtesy Hotepibre via Wikipedia. Outermost Golden Shrine: This shrine, which housed all of the remaining shrines, sarcophagus, coffins and mummy, almost filled the entire room of King Tut’s tomb. It is about nine feet high and sixteen feet long. The shrine is decorated with the double-tiered knot of Isis and the djed (the backbone of Osiris, representing stability). There also are hieroglyphs of Osiris on the case. 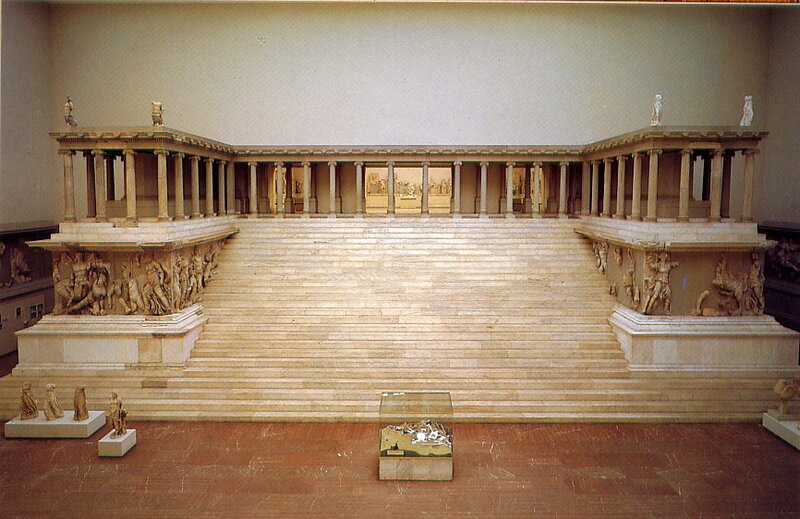 This shrine is on display in the Cairo Museum. A virtual tour of this shrine (and the second and third shrines) is found HERE. The Pall Frame: This is a nine-piece gabled framework. It is made out of wood and gold. On top of the framework was a fabric that was decorated with large marguerites (daisy-like flowers) of gilded bronze. One commenter described the fabric as “like a night sky spangled with stars.” Unfortunately, the fabric was ruined when it was left out in the open, during a period when Carter’s American team was prevented from working in the tomb and laboratory. The Second Shrine (also see drawing here): This second shrine is made out of gold and is decorated with funerary texts from the book of the dead. This particular shrine has a sloping roof and is thought to be in the shape of the Per-Wer, the ancient shrine of Upper Egypt that once housed a cult image of the tutelary goddess Nekhbet. This shrine was constructed by sixteen separate pieces, which allowed the shrine to be assembled on-site in the burial chamber (a process likely confirmed by the assembling directions written in black ink on several individual pieces). Domestic, magical, and ornate objects were placed in the available space between this shrine, the third shrine, and the fourth shrine. The Third Shrine: This shrine is very similar to the second shrine, only with smaller dimensions. This shrine is also made out of gold and has a sloping roof. Likewise, the third shrine also is decorated with funerary texts from the Book of the Dead. The Fourth (Innermost) shrine (also see drawing): The sides of the shrine depict a procession of various gods, including Anubis and Horus. The sky goddess Nut was depicted on the top of the ceiling, embracing the sarcophagus with her wings. The interior walls depict Spell 17 from the Book of the Dead. 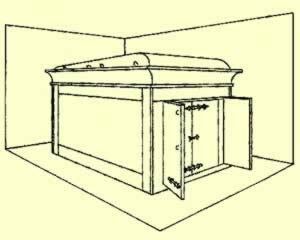 Sarcophagus (also see drawing): This sarcophagus was made out of quartzite (for the body of the sarcophagus) and was supported by a block of alabaster. The lid was made out of red granite. The lid doesn’t quite match the sarcophagus (and furthermore, was cracked and then repaired with gypsum! ), which might suggest that the intended lid was not created in time for the hurried burial. 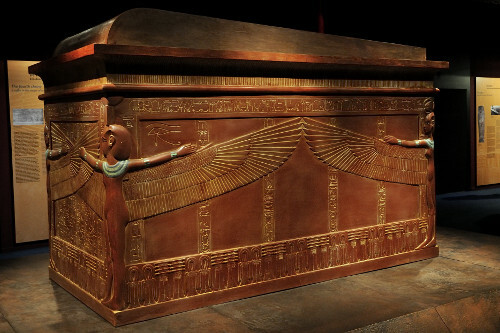 The whole sarcophagus itself weighed over a ton. 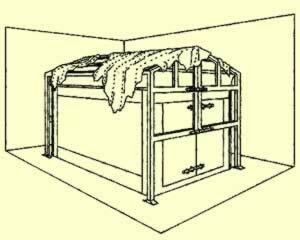 Outermost Coffin: Like the other two coffins, this coffin was wrapped in linen. This anthropoid coffin depicted an image of the king. The coffin was made out of gilded wood and cut stones. Four silver handles were created to lower the coffin into the sarcophagus. When containing the other nested coffins, this outermost coffin weighed 1.36 metric tons (3,000 pounds). 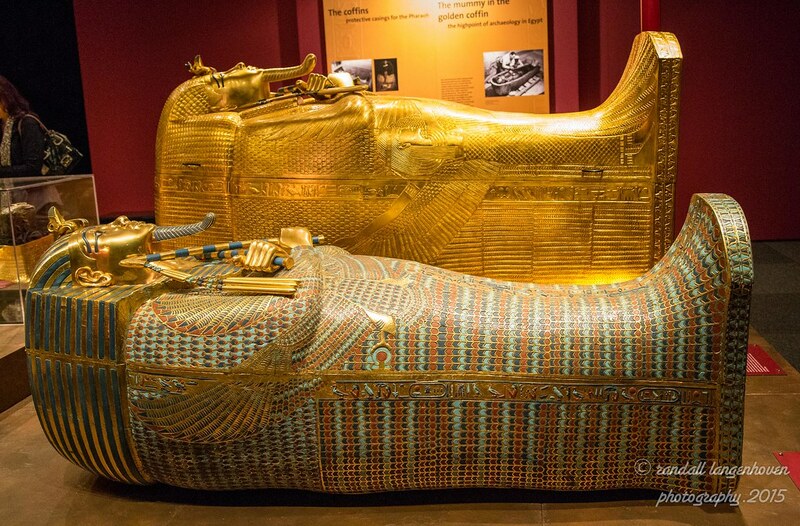 Second (Middle) Coffin (see photo of a museum display that compares of smaller second coffin with outermost gold coffin): This anthropoid coffin is made out of gilded wood. Small pieces of colored glass were affixed to practically the whole body of the coffin. It was protected by a red linen shroud when it was discovered by Howard Carter. Additionally, the red linen shroud was covered with floral garlands. The flowers, although far dead and dry, suggest that the king was buried during the spring time when the flowers would have been available. No handles exist on this middle coffin, which made the excavation difficult. Innermost Coffin (see detail image HERE): This anthropoid coffin was made of pure gold, inlaid with glass and semi-precious stones. When it was discovered, this coffin originally was covered in a sticky black residue, made from a perfume. The coffin is just over six feet tall and weighs nearly 243 pounds. 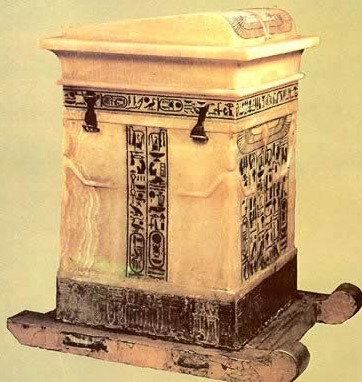 Gold handles are located on this innermost coffin. The mummy of King Tut, with the head protected by a funerary mask of gold, lapis lazuli, glass, and semi-precious stones. The mask weighs 24 pounds (11 kg). Gold sandals were placed on the mummy’s feet, along with various other decorative objects on the body. The king’s fingers were lined with hollow gold finger tips. 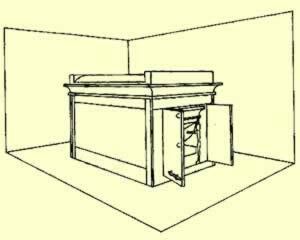 Although ancient thieves entered King Tut’s tomb relatively soon after the pharaoh’s burial, afterward the tomb remained undisturbed for several centuries. 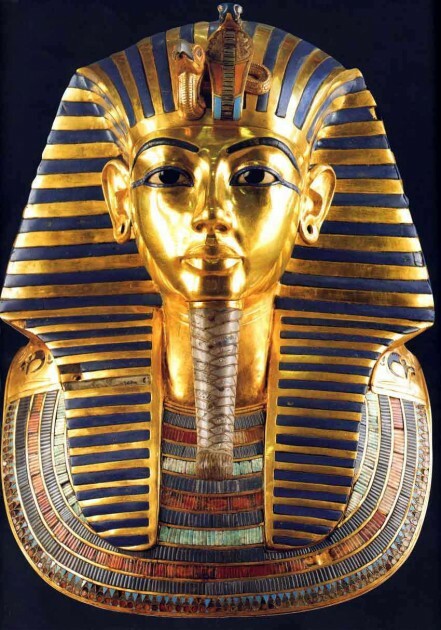 And since thieves never touched King Tut’s actual sarcophagus (the seal on the second and third shrines were intact upon discovery), we have been able to better understand the burial process and some of the funerary objects for Egyptian pharaohs. 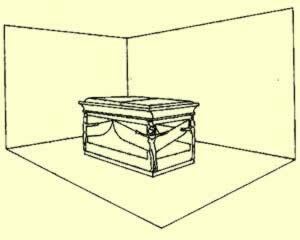 However, it blows my mind to think about what luxurious coffins and objects were placed inside the tombs of more prestigious kings. As a relatively insignificant pharaoh who died at a young age, King Tut apparently received a more modest burial than other Egyptian rulers. One can only imagine what riches were taken by the ancient thieves that disturbed some of the other tombs! The end of the quarter is here. I taught my last lecture this morning. Per custom, I shared with my students my favorite quote about art. This quote is from Gombrich’s well-known art history text, The Story of Art. 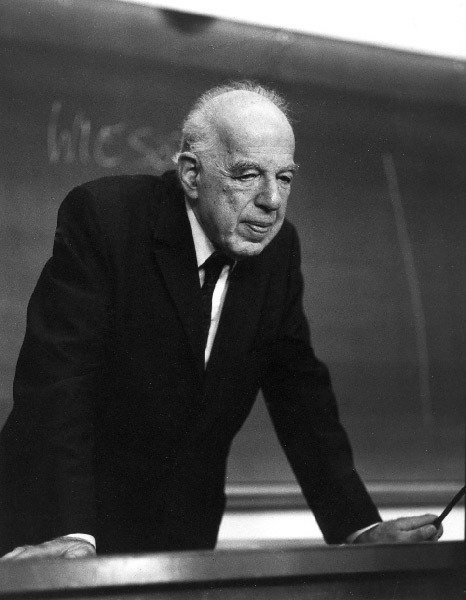 Gombrich discusses how one never stops learning about art and how works of art are inexhaustible. I have found these things to be true in my own experience and career. And personally, I find it exciting that there are always more things to learn about art. In fact, one of the reasons I love being a professor is that I am continually introduced to new perspectives and ideas about art by my students. Anyhow, this evening I realized with dismay that I have never shared this quote by Gombrich on my blog! I’ve included it below, along with two other quotes that I love. What about you? What are your favorite quotes about art? Why?